DIFFERENT SIDES OF THE ROAD-For the past few months, a coalition of transportation officials and regional leaders in the Los Angeles area have been promoting a plan to bring one of the world’s most massive highway tunnels to one of the world’s most congested freeway grids. Last week, a group that includes a member of Congress and is opposed to the tunnel idea went on a public offensive and promoted a multimodal plan of its own. For decades, Southern California officials have dreamed of closing the infamous 710 Freeway gap. Running north-south from the Port of Long Beach to the foothills, the 710 is a crucial corridor for the goods-movement industry. Unfortunately for the region’s truckers — not to mention its commuters — the freeway stops five miles short of its logical and intended terminus, at the 210 freeway. 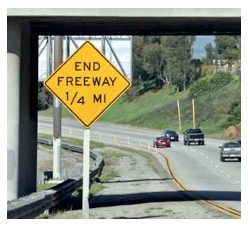 When it comes to filling that gap, residents in South Pasadena and neighboring communities long ago quashed the prospect of running a conventional freeway through their upscale city. That’s why the dream of a tunnel has long tantalized the region’s transportation planners. What was once a fanciful, and perhaps infeasible, dream became real with the release of an environmental impact report that includes several versions of a tunnel among its options. Last Friday, Schiff’s coalition accused the Los Angeles County Metropolitan Transportation Authority of having tunnel vision. Metro is considering five alternatives described in the report, released in March, but has yet to announce its preference. The 120-day public comment period remains open. The Beyond the 710 coalition — consisting of five cities in the San Gabriel Valley plus Schiff — fired back with a plan that, in stark contrast to the 20th-century mentality of building ever longer and wider roads, employs a variety of smaller-scale mobility strategies to accomplish many of the goals that a $5.6 billion tunnel would but for billions fewer dollars and a smaller environmental impact. The plan calls for a range of improvements to the 710 corridor, including the creation of a new boulevard in the mode of “complete streets”; a new network of pedestrian and bicycle paths; enhanced bus service; and transportation demand management strategies, such as giving free transit passes to students at local colleges. In the long term, expanded light rail and bus rapid transit would serve the corridor (options that are considered in one of the EIR’s alternatives). The plan’s most symbolically weighty element would be the demolition of the “stub” at the southern end of the gap, thus erasing much of the tangible evidence of the freeway’s intended route. The stub would be replaced by parklands, a bicycle path and a restored creek. The northern stub would remain but would be better integrated into the network of surface streets. “It’s based on four pillars of modern planning: community-serving transit, congestion reduction, Great Streets concepts that encourage bike use and walking, and managing traffic demand,” said John Harabedian, council member of the City of Sierra Madre, in a statement. The coalition estimates that high-priority projects would cost a total of $875 million. The idea is to serve the vast majority of drivers who are headed for local destinations rather than the handful of trucks and long-distance commuters who are simply passing through. 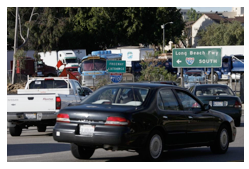 The Beyond the 710 coalition estimates that 85 percent of commuters who exit the freeway’s current terminus at Valley Boulevard are heading for local destinations. Though the coalition presented its plan as a progressive, reasoned alternative to the tunnel alternatives, at least two groups say that the plan is yet another example of local obstructionism. Several cities, including Alhambra, that absorb traffic coming off the 710 have long supported the completion of the freeway. Meanwhile, the goods-movement industry has been arguably the staunchest supporter of efforts to fill in the gap. Both groups say that anything less will only perpetuate congestion throughout the Los Angeles freeway grid. ng to the Indian Express, were largely ignored by policymakers.